You can easily Create or Manage your High DA Web 2.0’s PBN’s with a push of a button! Increase the DA of your PBN’s and pass an incredible amount of Link Juice directly to your Moneysites! SEO Autopilot allows you to easily create as many Web 2.0’s PBN’s as you want or need using High DA Web 2.0’s Assets! Either you want to create a small, medium or large Web 2.0’s PBN consisting of many different High DA properties or even a PBN from a single property, SEO Autopilot is the right SEO Tool for your needs! 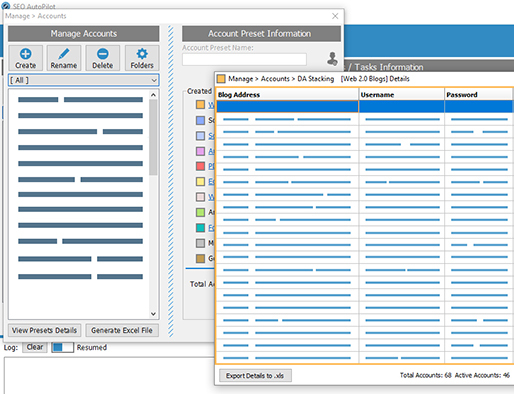 Using the Folder feature you can easily organize your Account Presets by PBN, client or even by Niche. You can use our Premium Default Domains for Profiles Creation or use your own .com’s Domains for even better results. PBN creation has never been easier! With SEO Autopilot you have total control over your PBN Management! If you own Expired High DA/PA Web 2.0 accounts like Tumblr, WordPress, Over-Blog, Jimdo etc, you can easily import them on SEO Autopilot and manage all with a single Campaign! Organize your Account Presets into Folders and use our Advanced SEO Strategies to increase the Authority of your Assets and therefore the Authority of your Moneysites. You can add new Expired Web 2.0’s or remove those you don’t need anymore with a push of a button or you can export all account credentials in a csv file. Increase the Authority of your PBN and therefore the link juice passes to your Moneysite with the Powerful DSA Diagram (Domain Authority Stacking Diagram)! 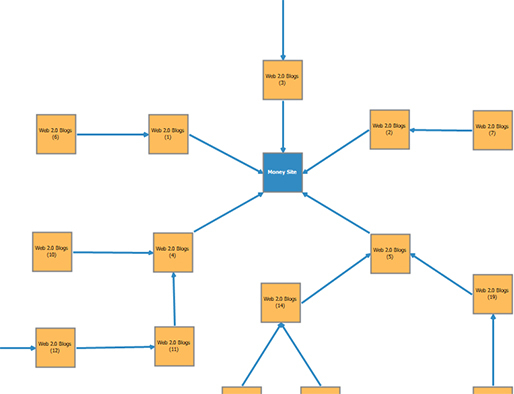 Increase the DA/PA of your Assets by using the DSA Diagram that consists of 22x Web 2.0’s Link Groups Strategically Interlinked to each other. Transfer a Huge amount of Link Juice from lower Tiers directly to your Moneysites and watch your DA Skyrocket in a short period of time! The Diagram consists of 1188 tasks (1188 Web 2.0 posts!) 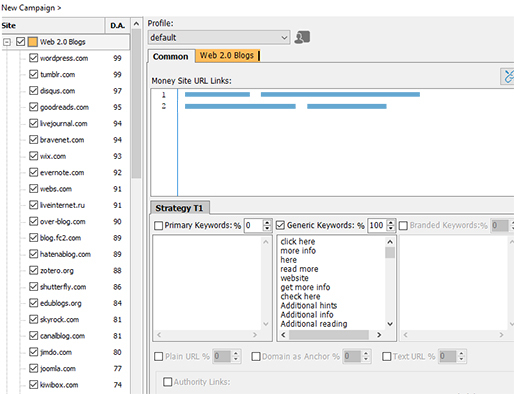 that in conjunction with proper Internal Linking and our Free Premium SEO Autopilot Indexer will ensure your Success!